How much is Hal Holbrook Worth? 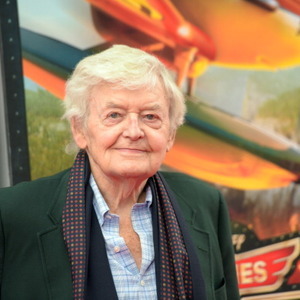 Hal Holbrook net worth: Hal Holbrook is an American actor who has a net worth of $5 million dollars. He was raised by his paternal grandparents, along with his two sisters, after their parents abandoned them. At the time he was two. Having been in the film industry since the mid 1950s, Holbrook is known for his many notable acting roles, in both the film, TV, and miniseries outlets. Including Mark Twain Tonight, Into the Wild, All the President's Men, Water for Elephants, and Lincoln. He has also won numerous Primetime Emmy awards for his roles in films, including his title for Outstanding Lead Actor in a drama series for The Bold Ones: The Senator. Holbrook has been married three times and has three children, Victoria, David, and Eve. His first two children with his first wife, Ruby Holbrook. His third child was with his second wife, Carol Eve Rossen. He and his third wife, Dixie Carter, remained married until her death in 2010, after having met when he guest starred on her TV show, Designing Women. Carter and Holbrook lived in McLemoresville, Tennessee, which was also Carter's hometown. Holbrook, who is originally from Cleveland, Ohio, is said to have loved the transition into Southern life.